Thermal storage adds flexibility, efficiency, and reliability. 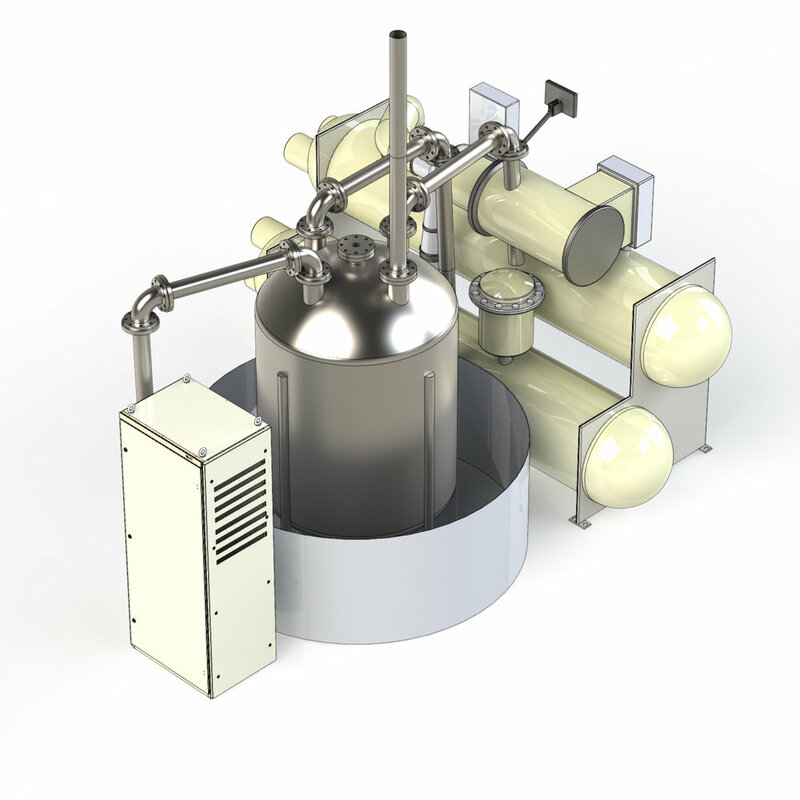 Element 16’s uniquely low cost, compact, high-temperature design allows improves the reliability and economics of cogeneration power plants. Tightening emissions regulations and variable renewable electricity generation mean that energy consumers and producers need to add flexibility and efficiency. Cogeneration power plants, also called Combined Heat and Power (CHP), are 20-40% more efficient than traditional natural gas power plants. In cogeneration, exhaust heat from electricity generation is used to make steam for industrial processing facilities, provide air conditioning to office buildings, and cheaply supply hot water. By storing heat energy, Element 16 adds flexibility to these power plants allowing the production of electricity and steam to occur at different times of day, week, or month. System reliability is improved with thermal energy storage, as it can provide a backup steam supply when electricity is not needed and during plant outages. Whether adding flexibility to a combined cycle power plant with steam cycle demand response or simply providing fluctuating on-demand process steam, Element 16’s thermal battery gives engineers and operators more control. Reduce natural gas purchases and reduce greenhouse gas emissions. Industrial producers are operating in an increasingly challenging regulatory environment to produce our food, materials, and energy supply. Element 16’s thermal energy storage reduces natural gas purchases and the associated greenhouse gas emissions through process heat efficiency upgrades. Element 16 collects excess heat whenever it is available. When processing plants are not operating at peak efficiency, whether due to weather, production volume, or maintenance outages, Element 16 captures any excess heat and stores it for future use. Element 16’s first installation is a 100+ ton thermal energy storage system that produces process steam for a mineral producing facility. This installation is expected to save the facility tens of thousands of dollars in annual natural gas costs. By reducing waste steam, this installation will also reduce water usage and increase the redundancy of the process plant. Thermal energy storage acts as a buffer for highly intermittent thermal processes. By smoothing out the thermal load at the facility, this addition can reduce the thermal shocks to equipment. When charged, thermal energy storage also acts as a backup heat supply for existing equipment. Element 16’s system can discharge heat during unexpected process heat shortages and outages, adding redundancy to critical production systems. Thermal energy storage fits best with facilities with high process heat requirements, including food processing, chemical production, and oil production.